The ‘Frozen’ Games consist of a series of winter-themed, team-oriented challenges that visitors to the park can participate in. Some of the challenges include Ice Pail Relays, a Snowball (water balloon) Toss, Ski Pole Limbo and Slide Races. The ‘Frozen’ Games run from May 27 to August 21st. Blizzard Beach guests that wish to participate can do by signing up at the park entrance when they arrive. There is no additional charge for participation. 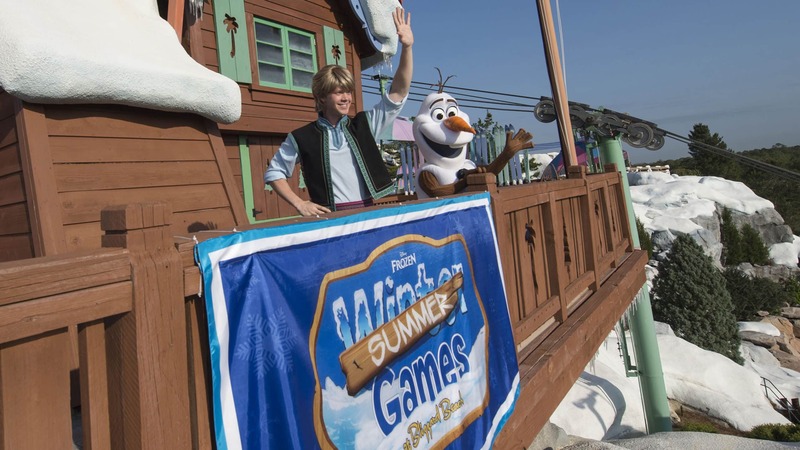 Be the first to comment on "Kristoff and Olaf Come to Blizzard Beach for the ‘Frozen’ Games"